Earlier this year, winsome Oxford foursome Stornoway sampled 20 birdsongs on their third album, Bonxie. 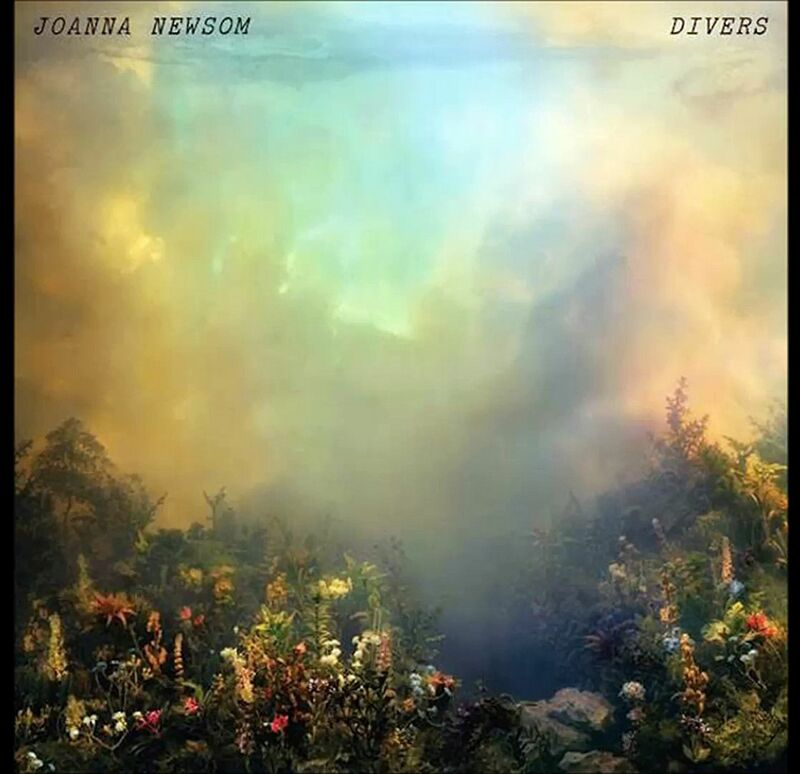 Now, mourning doves coo on California's high priestess of art folk Joanna Newsom's universally feted fourth album, Divers. The birds bookend the opening track Anecdotes and the last track, Time, As A Symptom. The album title itself refers to flights, movements of life and death, swinging between precipitous dips and vertiginous highs. On the title track, she strums her harp and croons in her unmistakable squeak: "I know we must abide each by the rules that bind us here: the divers, and the sailors, and the women on the pier/But how do you choose your form?/How do you choose your name?/How do you choose your life?/How do you choose the time you must exhale, and kick, and rise?" Amazing then to find out that the entire record comprises 11 songs totalling a mere 52 minutes - a concise treatise when compared to 2010's triple-disc, near 90-minute album, Have One On Me. The avian metaphor is apt, extending to songs such as Goose Eggs. A 1970s-styled electro-folk ditty which plays out like a Victorian waltz, the track ponders the loneliness of being apart: "A goose, alone, I suppose, can know the loneliness of geese/who never find their peace." The acute awareness - to quote George Harrison - that all things must pass shades the songs in infinite ways. Newsom, who is enjoying marital bliss with Saturday Night Live comedian Andy Samberg, now intuits death in the face of potential loss. The first single, Sapokanikan, is premium Newsom, taking its name from the Native Americans' name for New York City's Greenwich Village. It is a love letter to the Big Apple and the art of perambulation, walking through space and immersing in its histories, lost and legendary. A multi-layered narrative over centuries and musical styles, it ranges from piano dirge to soft rock to chamber pop in a crescendo of keys as she alludes to Percy Shelley and Horace Smith's Ozymandias sonnets; a graveyard allegedly located at Washington Square Park; and early-20th-century New York mayor John Purroy Mitchel who fell to an awful death in an airborne military exercise - all because of an undone seat belt. Such are the vagaries of human existence: Fame, fortune, tragedy and everything in between are par for course. This is summed up in the stunning closer Time, As A Symptom, where strings and ivories braid with chirping birds, nature and man united in song. She realises that "Love is not a symptom of time", but rather that "Time is just a symptom of love", chanting, "the nullifying, defeating, negating, repeating joy of life" as the orchestral swirl buoys her to a point high above.